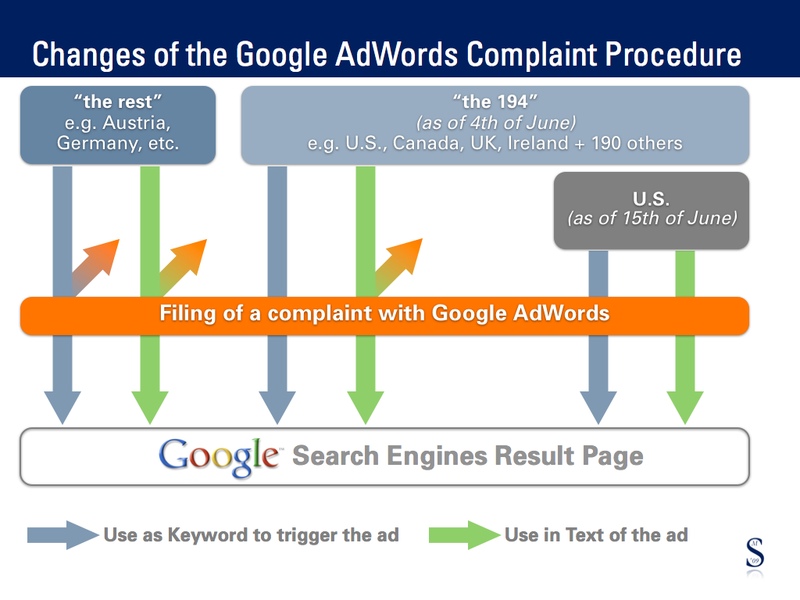 The AdWords policy prohibiting the deceptive use of business names is currently in effect in Australia and New Zealand, and will be expanded to apply to all countries around mid-July. This policy prohibits advertisements that imply an affiliation, partnership, or special relationship with unrelated third parties, and aims to ensure that users are not misled about the businesses advertised in our text ads. After the new policy goes into effect, the relevant policy page will be updated to reflect this change. Already in the past Google has demonstrated how fast it is able to adapt its AdWords policy in response to national court decisions. For example it only took Google three month after the Royal Court of Justice’s decision on Mr. Spicy (1HC 710/07, Mr Spicy, EWHC 361 (Ch)) in February 2008 before the UK and Ireland in May 2008 were added to the list of countries with a lower level of trademark protection (Google wording: “Regions in which we investigate the use in ad text only“, or “the 194” in the chart below). Google’s move, which will, from mid-July on, forbid the deceptive use of business names for all countries/regions worldwide, could however also be interpreted as kind of admitting the possibility of deceptive uses of business names in the past.